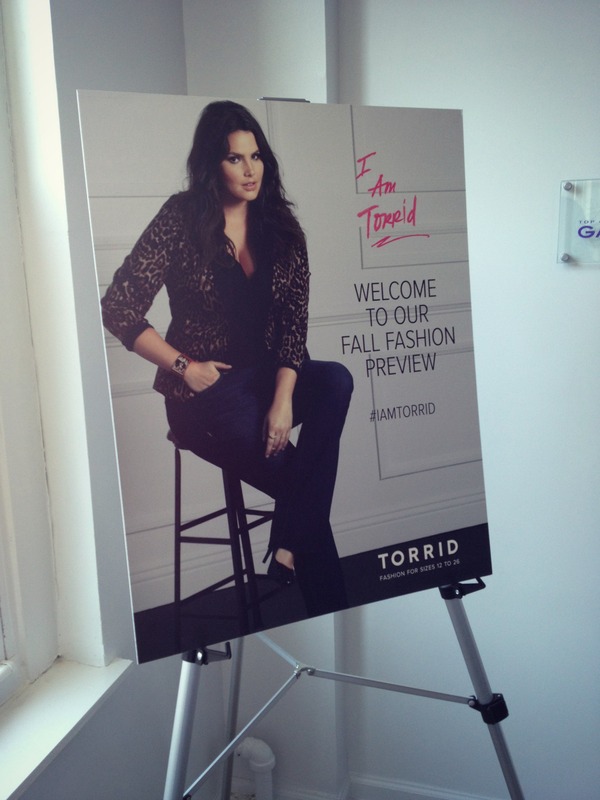 On Thursday I headed over to preview Torrid‘s fall fashion line, and I was pretty excited because last year’s event was fun and Torrid is a store that I can actually physically go to and try on the items (a rarity in plus-size shopping it seems). 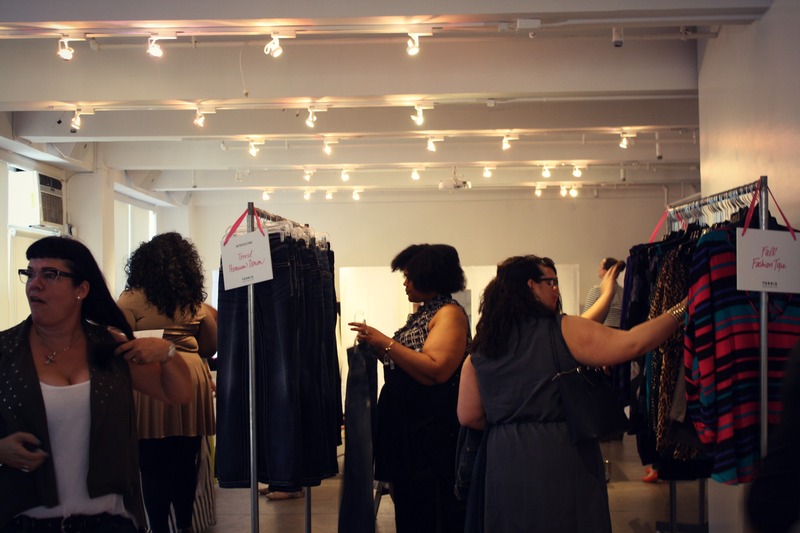 Last year we previewed their at-the-time new Stiletto fit jeans, so I was interested in what denim they had lined up for fall. 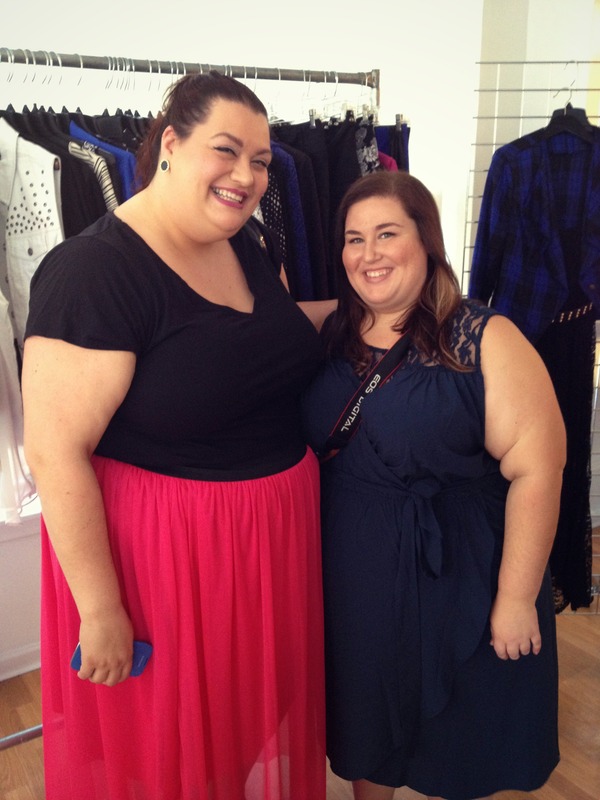 After a sangria and a quick look around, the designer of Torrid’s line walked me through some of her favorite pieces for fall. There was a lot of prints, bold colors, and military inspired pieces. Torrid had a good amount of blazers in various cuts with a full sleeve, which a lot of shoppers wanted as plus size blazers often only come in 3/4 sleeve only. The blazer she is wearing has a two-tone floral print. Plaid blazer with a black lace maxi. 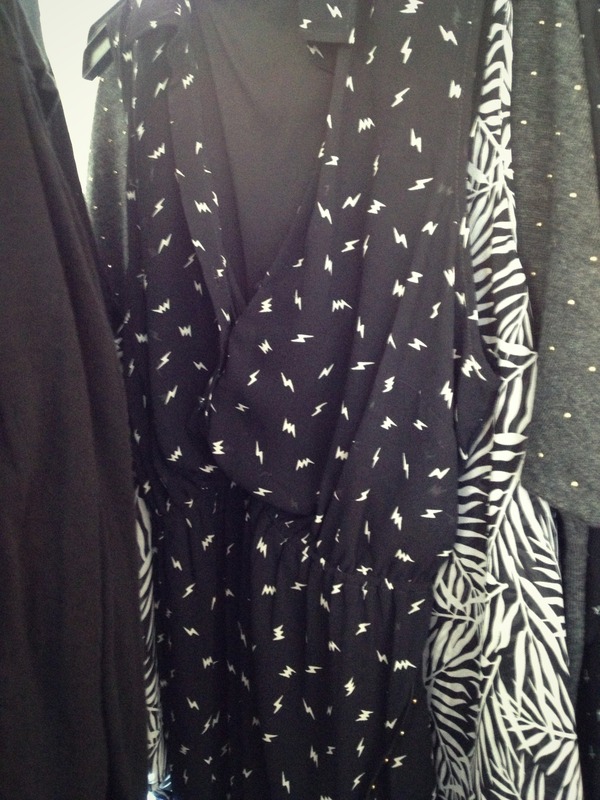 The print shows up again in this dress (is it a babydoll cut? I honestly don’t know!). 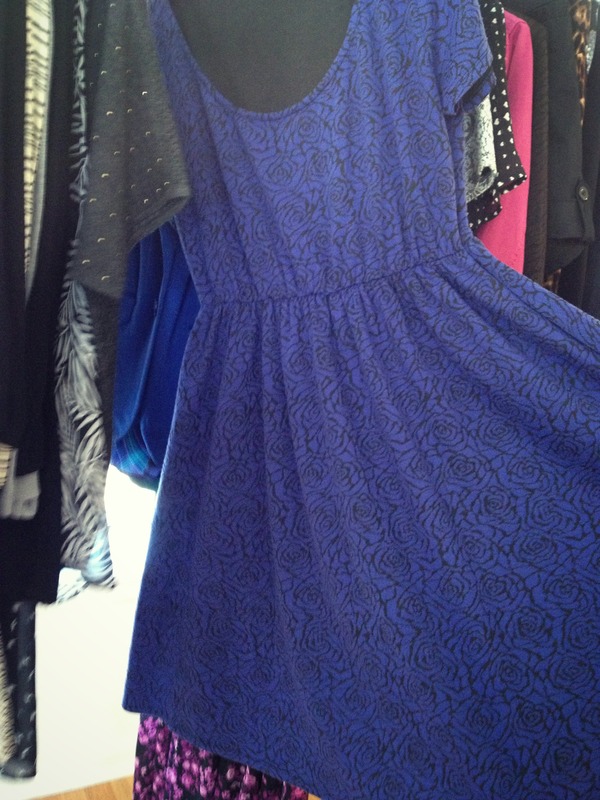 This dress also comes in a black and white lace print. Prints and studs were also featured in the looks. This lightning bolt dress is cute–and would let me live out my Harry Potter dreams. 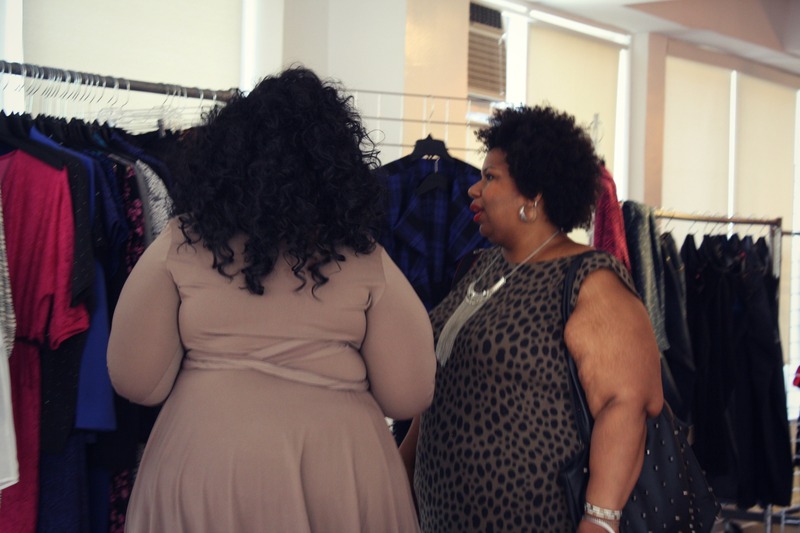 After looking through the racks, Brittany grabbed my attention trying on some of the pieces from the fall line. She is wearing a striped top and their new jeggings. These jeggings are AMAZING. I don’t say that lightly! Jeans are hard to find. I put on a pair in a 28, which can sometimes be tight, and they fit loosely, so those on the upper side of 28 definitely try them when they come in. They have a zipper and button enclosure and fit closely at the ankle. I got in there to try on the jeggings and a top from the fall line. And then I tried on the dress. I’ll admit, this cut feels not “me”. Maybe it’s because I wore this cut when I was 8-9 years old and can remember them vividly. I got a lot of compliments on the shape though — what do you think? 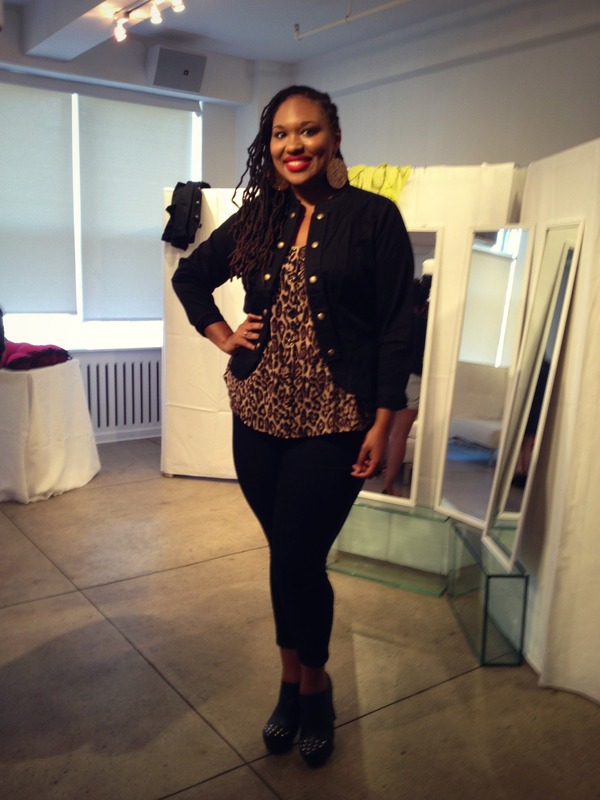 I loved Shainna of A Thick Girl’s Closet‘s look pulled from the Torrid Fall Preview. 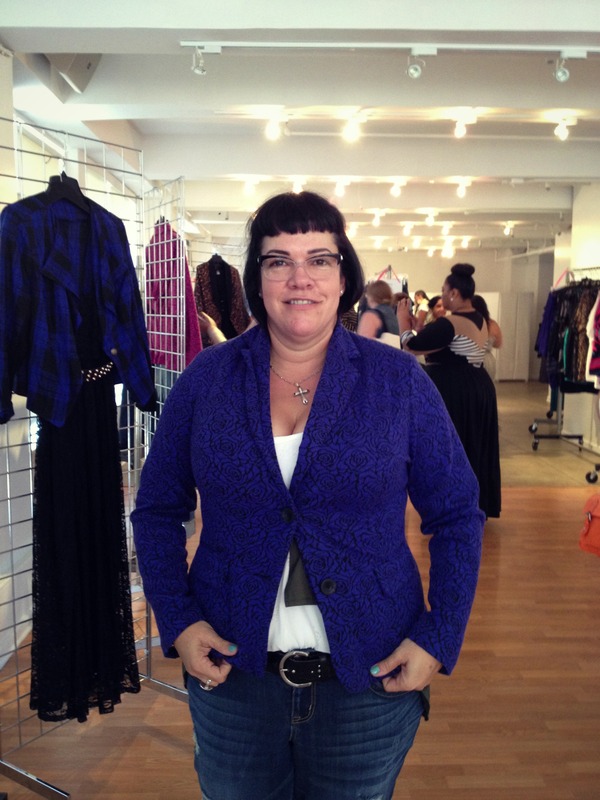 After trying on some looks I noticed that Sarah of Style It Online was looking at some clothing. 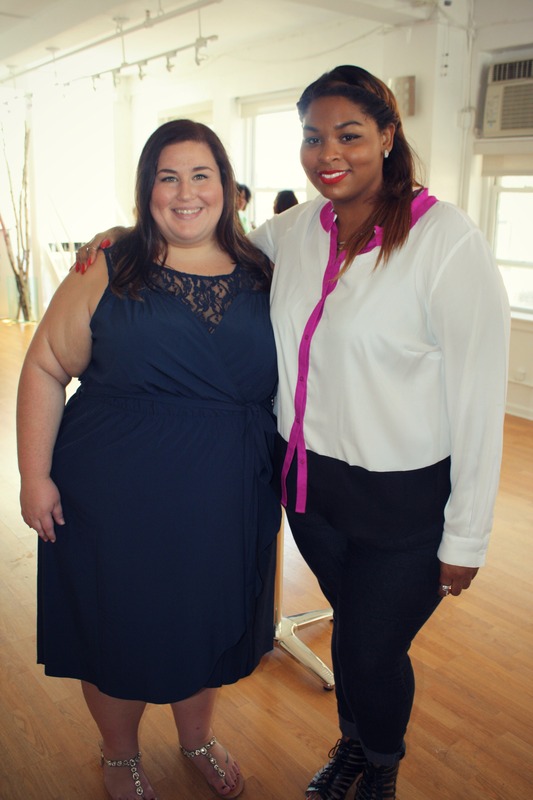 She is one of my absolute favorite bloggers and was featured in my 20 bloggers size 24+ post. Needless to say, I promptly went over and gushed to her about how much I love her blog. I also spotted Beck of The Manfattan Project looking gorgeous as always. And Chasity of Garner Style who was also featured in that post. 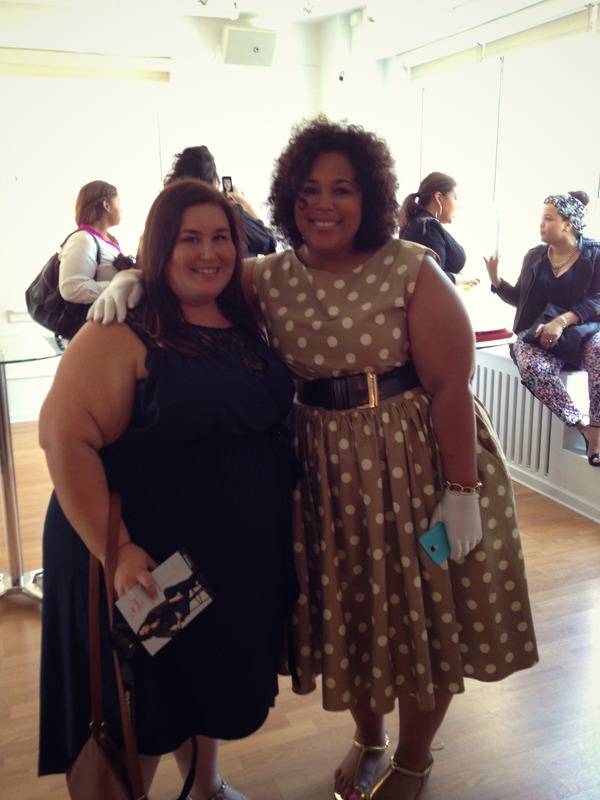 After a bit, Jessica Kane talked greeted all the attendees and talked about Torrid and plus size fashion. 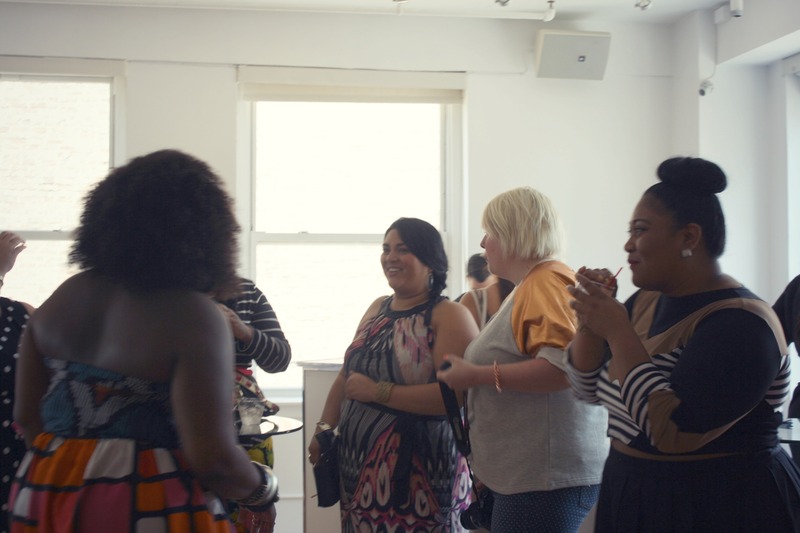 The designer also greeted us and discussed some key themes for their fall line. 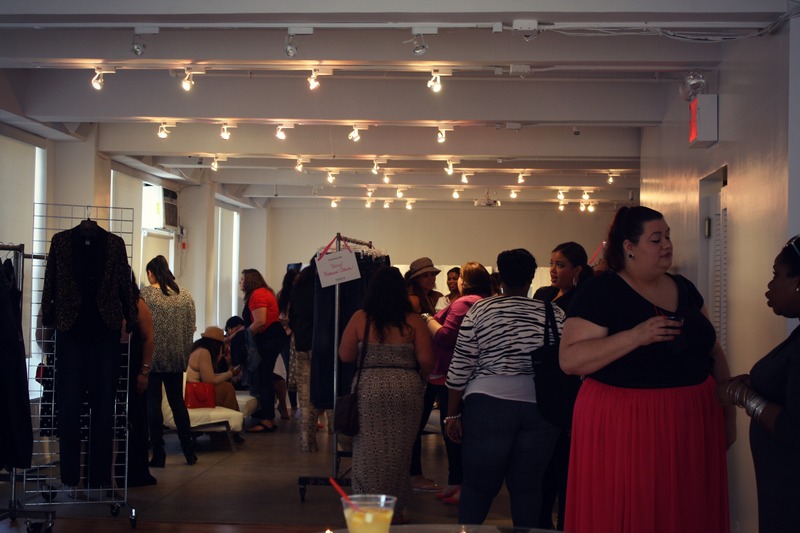 After, bloggers mingled more and checked out the clothing. I spotted Kellie of Fatshion Insider. I spy Jennifer of Jasifer Lions Club. 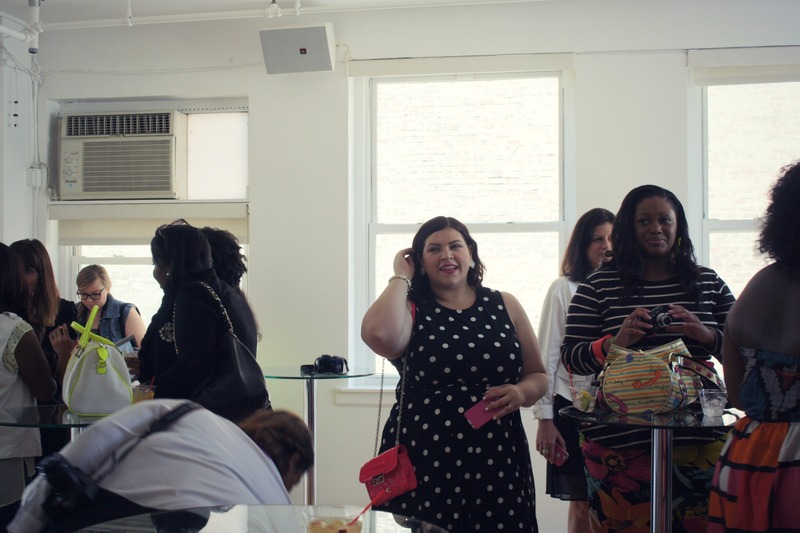 I wish I had had the courage and more time to introduce myself to a lot of the bloggers attending. 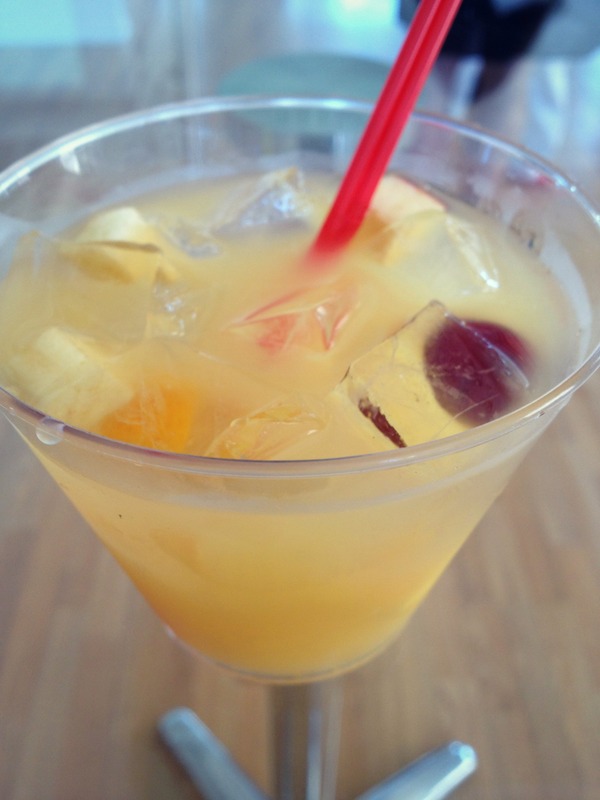 Shyness is something I’m ALWAYS working on – it’s tough! Before heading out, I got to have a quick chat with Elann Zelie. She’s designing her own line — check her out! 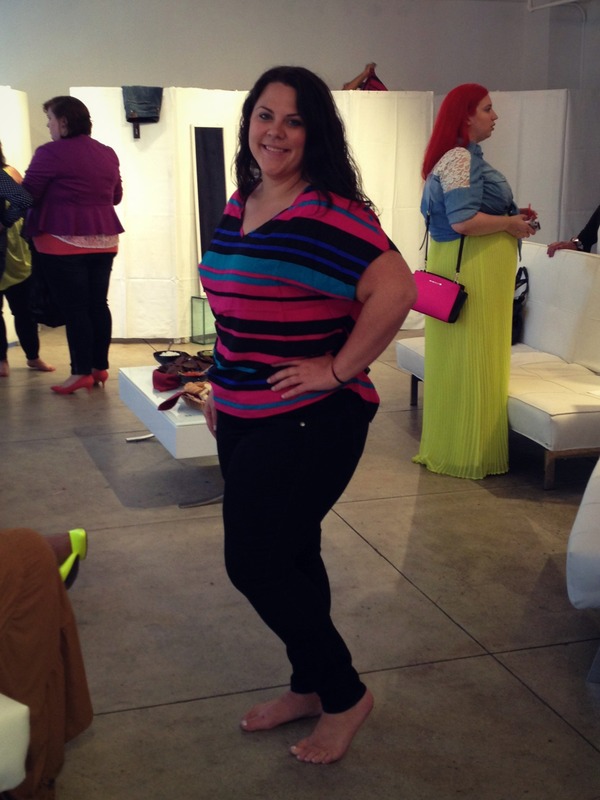 Brittany looked so cute and had a great time at the Torrid event. I think her favorite item was the jeggings too. Check out what she wore here. I had to skip out a little early and head to the next event, but I had a great chance to look over the collection. I really appreciated the designer walking through the different themes in the clothing and what Torrid’s intentions were. 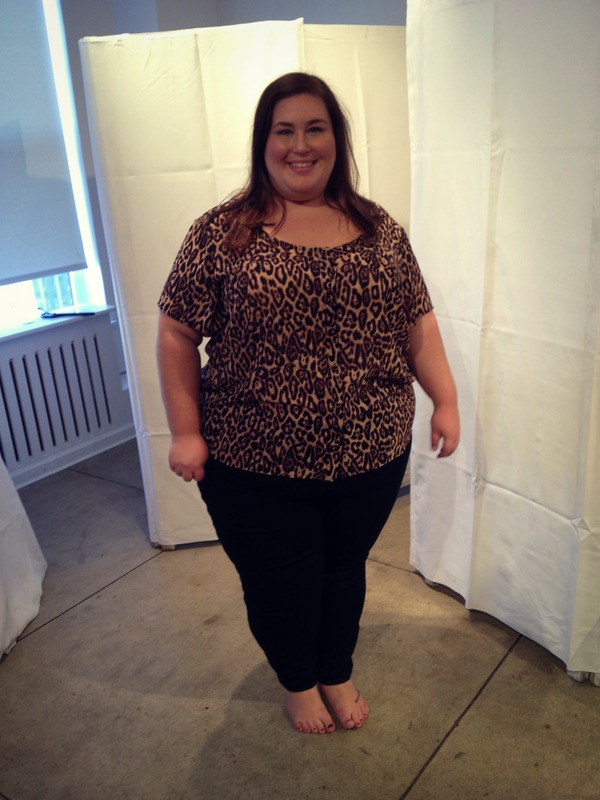 I also loved getting to try on the pieces and chat with Torrid salespeople who work in their physical stores. I was struck by how often they asked for our honest opinion and discussed how they took customer opinion and made design decisions based on them. Thank you, Torrid, for a great time! 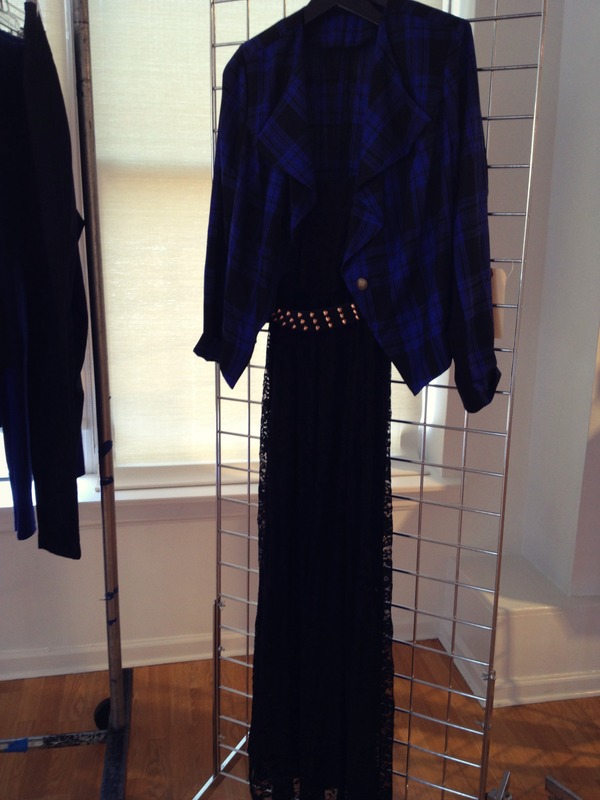 I cannot wait to try on that plaid blazer in stores! Full length sleeved blazers? Sign me up and give me some painkillers for my credit card! Anyway, I liked the dress on you so much, I just ordered one for me. 🙂 So that makes me excited! Did you happen to see any boots?! Last year’s brown with the red zipper were my favorite pair.